What they're hoping to glimpse is something called the "event horizon" -- the swirl of matter and energy that are visible around the rim of the black hole just before it falls into the abyss. The target for the shoot is the supermassive black hole that lives in the heart of our galaxy, the Milky Way. It's about 4 million times as massive as the sun, but it's extremely compressed and far away, nearly 26,000 light-years. To astronomers, it's like looking at a grapefruit on the moon. Black holes were first suggested by Albert Einstein's General Theory of Relativity. Decades of research and observations have provided evidence of their existence, but it has never been possible to directly observe and image one. General relativity predicts that the bright outline defining the black hole's shadow must be a perfect circle. 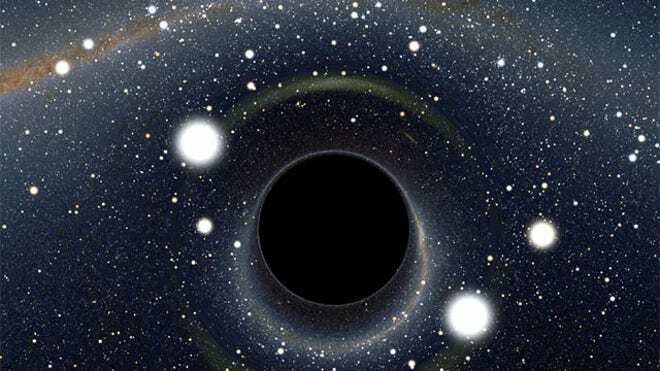 "If we find the black hole's shadow to be oblate instead of circular,it means Einstein's General Theory of Relativity must be flawed," Psaltis said. "But even if we find no deviation from general relativity, all these processes will help us understand the fundamental aspects of the theory much better." I'd just like to see what one looks like.